Summary from Goodreads: Four disparate high school seniors come together to compete in their school's battle of the bands. 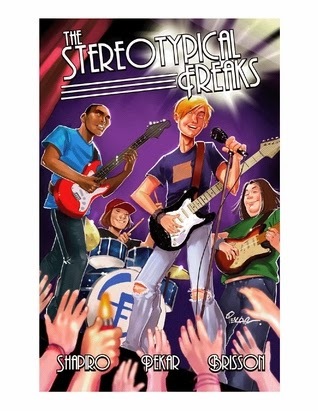 Sharing a love for playing rock and roll, the members name the band "The Stereotypical Freaks" because they feel stereotyped by their classmates - smart kid, geek, star athlete and quiet weirdo… when in fact they know they are much more than those labels that have been placed on them. Okay, let me start by saying that I don't normally read graphic novels, so this review is really just going to be what I thought of the book - I don't have a whole lot to say about the artwork (which seemed fine, but not fantastic to me), or the way that the art panel thingies (see how much I know about this) are laid out, or about how it compares to other graphic novels. I will leave that up to those of you who actually know a thing or two about graphic novels. I won this book in a giveaway. When it arrived, I was intrigued and I couldn't help but immediately pick it up and check it out. The story pulled me in and it was a quick read, so it didn't take me long to finish it up! The book follows Tom as he navigates the treachery of high school cliques. He ends up forming a band with the high school football star (who used to be his best friend when they were kids), a social outcast and a quiet exchange student and the band prepares to compete in the school's Battle of the Bands! A little too many teen issues stuffed into one book. I really enjoyed the story, but at times it felt like Shapiro was trying a little too hard to cover all of the "teen issue" bases and give us a happy ending for just about all of them. There was Tom and Mark - who used to be best friends until Mark decided Tom wasn't cool enough for him; then there was Dan, who felt abandoned by his dad after his parents divorced. Jacoby's story was the biggest and most poignant, but I don't really want to tell exactly what happens to him because it would be a bit of a spoiler - but his circumstances make all of the other characters re-evaluate what's important and try to solve the problems in their lives. Then, Shapiro threw in a few other references, just to make sure the book was really relevant to everyone - Mark has two moms, Tom is Jewish - both of which just felt a little contrived. Don't get me wrong, I think that these are all great issues to be explored, but it felt like a little much for this one small graphic novel. Jacoby's storyline. The best thing about this book was definitely Jacoby and his storyline. It was truly poignant and tugged at my heart strings! Friendship. I loved the friendship that these boys forged, in spite of all their differences. They found something that they all loved - music - and it brought them together. Of course, the music didn't instantly solve their issues with each other - they had to figure out how to get past their misgivings about each other and work together, and it wasn't always easy. The message. The overall message of this book was incredibly positive. The guys learn a lot about life and about what is truly important (certainly not cliques and social status). 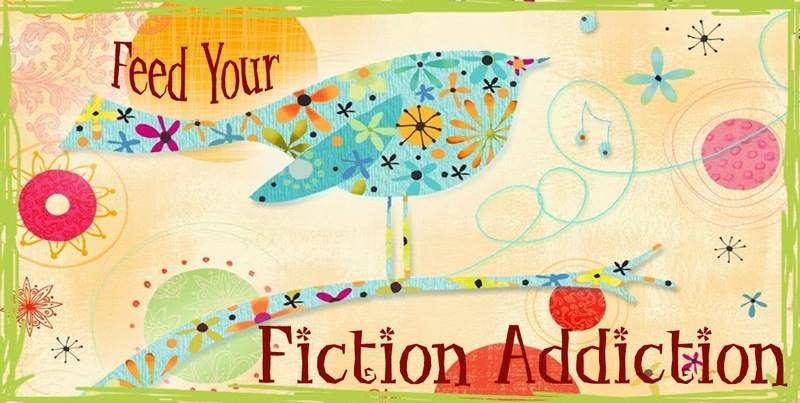 It's a great message for teen readers (especially younger YA, who will probably respond most positively to the book - older YA readers might be a little jaded and think that the story is a little too optimistic). The music. I loved how every chapter of the book had suggested songs to go with it! I thought that The Stereotypical Freaks was a great read and would work especially well for younger YA or possibly even mature MG readers. 3.5/5 stars.